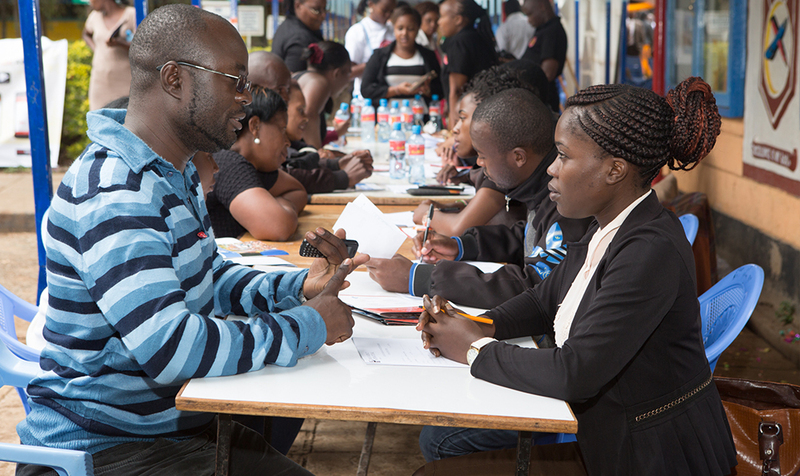 Dancan* heard of Transparency International Kenya for the first time at a public outreach forum and legal aid clinic organised by the Advocacy and Legal Advice Centre (ALAC). Such outreach fora and legal aid clinics are some of the tools used by ALAC to empower citizens on their rights thus allowing them to demand accountability, good governance and proper service delivery from the government. Legal aid clinics are also used to give much needed legal advice to victims of corruption and also to dispense general advice on legal matters. These tools have proven to be quite important and effective as evidenced by the question asked by Dancan. Does this story sound familiar? The sad reality is that quite a number of Kenyans have found themselves in a situation similar to Dancan’s. Let us unpack his experience and find out the best practice. Purchasing – this is the voluntary transfer of land from one person to another through an agreement for the sale of land (like in the case of Dancan). Inheritance – when a land owner dies, his or her dependents can inherit the property through intestate succession (where the deceased did not write a will), or through testate succession (where the deceased wrote a will). Adverse possession – this is where a person who has lived on a particular piece of land continuously for 12 or more years without any disturbance can request the court for orders that the land be registered in his or her name. Compulsory acquisition – this is where the government acquires private property for the purposes of a project that will benefit the public. However, in such a case, the government must compensate the private individuals who owned that land for the value of the land lost. A good example is the SGR project. Section 3(3) of the Law of Contract Act states that any transaction relating to land must be in writing. But not only that, it must also be signed by both parties (the buyer and the seller), it must be witnessed, and it must be attested by an Advocate of the High Court of Kenya. Additionally, it must also specify the land registration number, the size of the plot, its location and the amount to be paid for it. The agreement must also indicate how this payment will be processed, e.g in installments of X amount within Y period of time. Finally, once all this is done, the agreement must be registered at the Lands Registry. So, let’s go back to our friend, Dancan. From the story above, the agreement for the sale of land did not meet the minimum standards set by law. The consequence of this is that Dancan’s sale of land was not valid, meaning it cannot be actioned in a court of law. Therefore, in the eyes of the law, the sale did not happen at all. Dancan complained that he had been deceived because the buyer did not pay him the true value of the land. Whose problem was this? To respond to his concern, we must go back to the law of contract. Basically, a contract happens when two people agree to exchange property or services for money. It is the two parties who agree on the amount to be paid. Therefore, if the seller is not satisfied with the amount offered, he can refuse to sell. Similarly, if the buyer is not comfortable with the amount asked for, he can refuse to buy. Having this in mind, was Mr. Papa justified in complaining that he was deceived? I’ll leave that to you. The second aspect of due diligence is that the buyer must make sure that the seller actually has the right to sell. The right to sell means that the seller is the true owner of that land, that is, it should be registered in his or her name. Therefore, what should an interested buyer do to ensure that he or she does not fall victim to conmen? Get copies of the following documents from the seller: National ID, KRA Pin certificate, Title Deed. Use the copy of the title deed to conduct a search at the Lands Registry. This will show whether the Title is legitimate, the size and registration number of the plot, and the name of the registered owner. If the interested buyer is satisfied with the search, then the two parties can look for an Advocate who will effect the transfer of title. We have seen that Dancan’s sale was invalid because it was oral, but he still received the payment agreed upon. When asked, he said that he would have been willing to return the money and retain the land, but he had already spent it. This therefore leaves him in a precarious situation, since the seller will surely demand for either the piece of land, or his money back. You will also recall that since the sale was invalid, the courts of law cannot help solve the problem. So what can Dancan do about his situation? He was advised by an ALAC Officer to seek alternative dispute resolution through the chief. Through mediation, the chief can help the parties to come up with a fresh agreement, either for the seller to repay the money through a structured repayment plan, or for the buyer to agree to pay a higher price. This way, the interests of both parties will be protected.